We all have so many questions about the New Testament's recorded events leading up to Jesus' Resurrection. To understand it on a far deeper level, it needs to be dissected per it's historical, First Century, Roman-occupied Israel and its religious, political, spiritual, and prophetic contexts. I happened to come across this excellent discussion (see links below) by some of the world's renowned Christian scholars and experts on the Resurrection, concerning the known Biblical and EXTRA-Biblical history and facts surrounding the Resurrection. It examines many of the most-important questions and doubts surrounding the trial of Jesus, the Crucifixion accounts, and their backdrop of First Century, Roman-Occupied Israel and the politics between Rome, Pontius Pilate, the Emperor, Israel, its religious leaders, their interactions with and responses to Jesus, His followers, and the post-Resurrection accounts. It really fleshes out fact from fiction, and brings considerable new understandings to the Gospel accounts of these events. The scholars uses Mel Gibson's film, “The Passion,” as a tool for the discussion. It also examines whether the film deviates from Scripture and where it is faithful. The scholars in the discussion are: Dr. John Ankerberg, Dr. William Lane Craig, Dr. Darrell Bock, Research Professor of New Testament Studies at Dallas Theological Seminary, Dr. N. T. Wright, Canon Theologian of Westminster Abbey in England, Dr. Ben Witherington, Professor of New Testament at Asbury Theological Seminary, Research Professor at Talbot School of Theology, Dr. Craig Blomberg, Professor of New Testament, Denver Seminary; and Dr. Gary Habermas, Professor of Apologetics and Philosophy, Liberty University. MANY nuggets here - and well worth your time! As an aside, Mel Gibson is planning a followup of “The Passion.” Shot for only $30 million, it is the highest-grossing R-rated film ever in North America with $370.8 million in revenues. It's also the most famous film ever shot about Jesus. 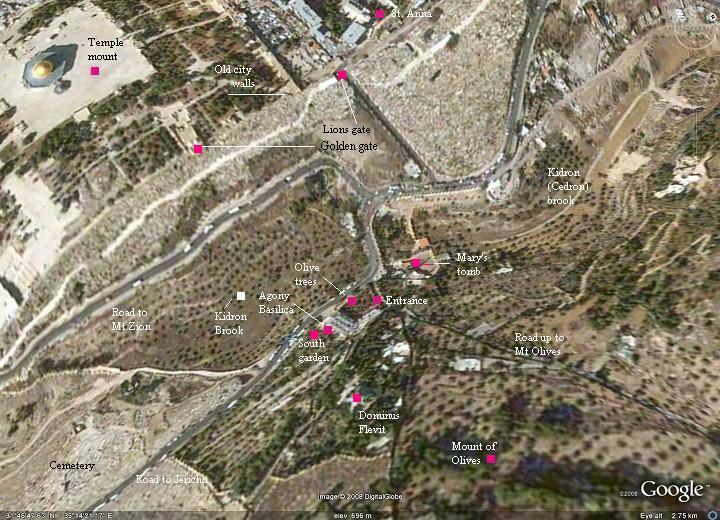 To further get a feel for the Jerusalem of the Resurrection and Jesus' time, I thought I'd give some interesting visuals. 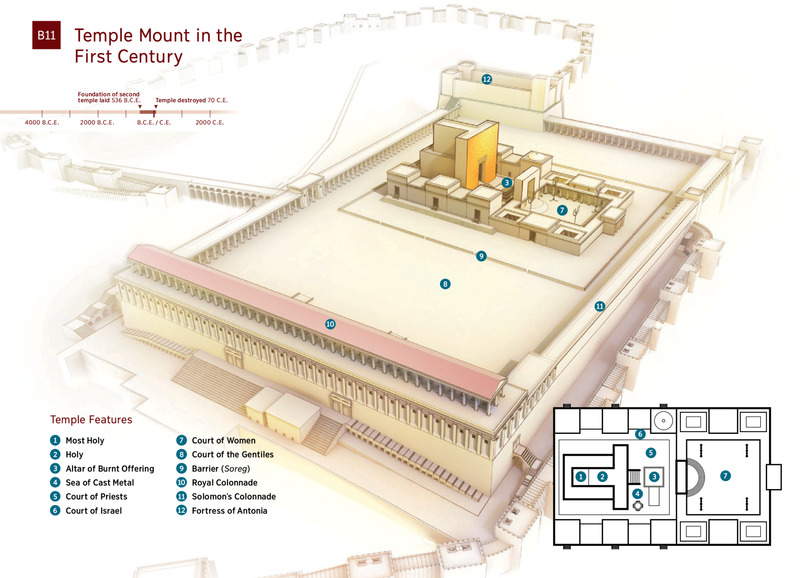 Here is a model of the 2nd Temple of the Jews – remember, the First Temple constructed by Solomon was destroyed, later to be rebuilt under Nehemiah. 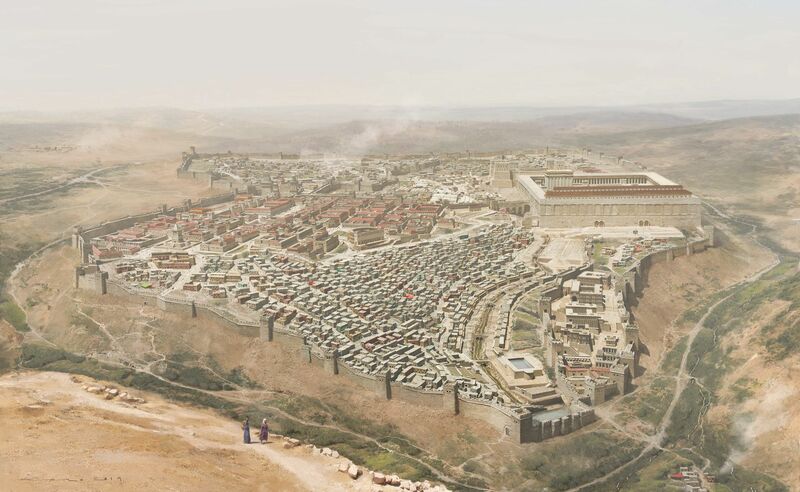 It is this second Temple that Jesus walked, which was eventually destroyed by the Romans in 70 A.D. - of the only remaining portion standing is the Wailing Wall. 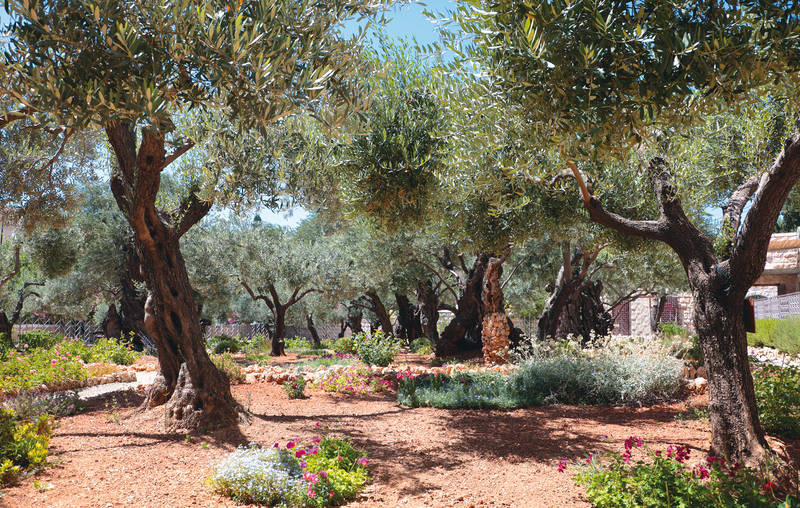 Looking up, you can see the Temple Mount – this shot is taken from the Garden of Gesamene – yep, THAT Garden! 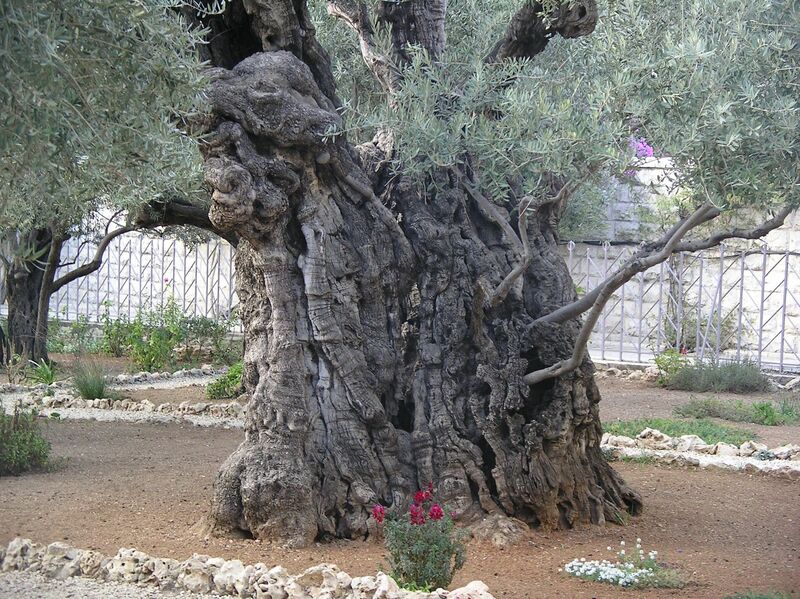 Note that the garden is on the Mount of Olives and the olive trees in the photos date to about 1200 AD. All 3 volumes are so good, I recommend them all. PaulSacramento wrote: All 3 volumes are so good, I recommend them all. I've read the first three volumes... all three are great! I haven't started on Paul and the Faithfulness of God yet. I'm currently in the middle of Surprised by Hope by Wright. Wright is my favorite current theologian. Isn't it interesting, you crack open a Bible - even early in the OT - and you read of a geographic place and then go to a world atlas to search for it. Almost always, it's there - or the newer name is there instead of the ancient one. Try that with something like the Book of Mormon!